The EMS Broadcast Meteorologist Award is presented to honour life achievement of an outstanding broadcast meteorologist. The Laureate is invited to attend the EMS Annual Meeting. The Award is given biennially. The next call will be open for 2020. Her long, distinguished career in meteorological science began as a weather forecaster in 1981 and she extended her broadcasting skills to television in 1988. 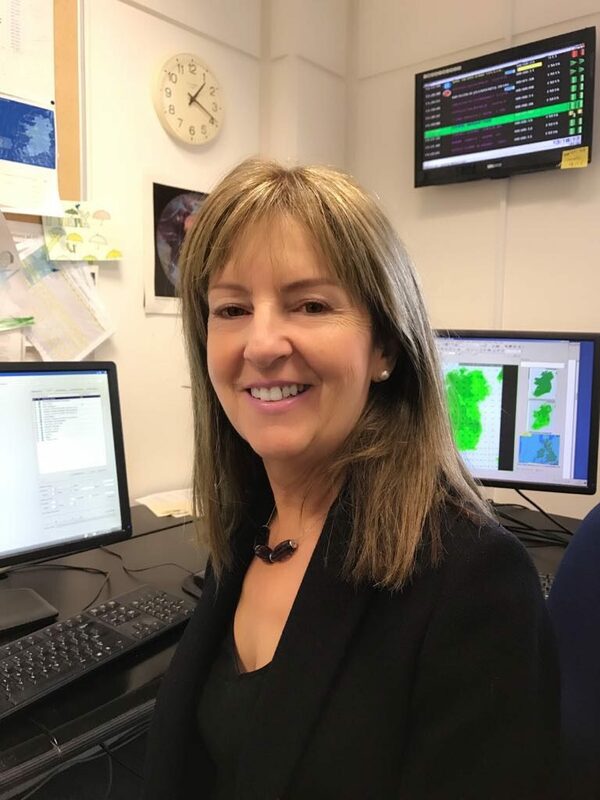 She has presented the weather on the Irish national television station, RTÉ, for more than two decades. 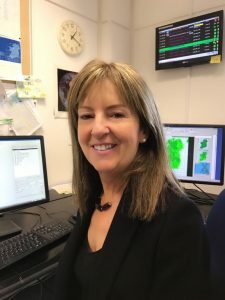 As well as television forecast bulletins, Evelyn also presents the weather on the national radio station and is routinely interviewed on news and current affairs programmes on radio and television regarding all matters of a meteorological nature. The EMS Broadcast Meteorologist Award is given biennially to honour life achievement of an outstanding European broadcast meteorologist. A selection committee, consisting of the Chair of the EMS Media Team, a member of the Awards Committee and at least two experts, appointed by the EMS Council on a yearly basis, will decide on who will be the Laureate. The committee will normally work by e-mail. EMS Member Societies and EMS Associate Members. The Laureate receives a trophy and is invited to the EMS Annual Meeting. The Laureate is a special guest of the Media Session and travel expenses of the Laureate to attend the EMS Annual Meeting will be covered by the EMS.